Now-a-days face book is very much popular application among people worldwide. The users of face book are increasing day by day. So, it is the strong medium to convey one’s message worldwide. People spend their hours to communicate each other. Face is a remarkable opportunity of marketing that one can’t ignore. It is the best way to get in touch with your global audience by creating your own facebook page. You can get their feedback, improve your service and answer their question by knowing them better. 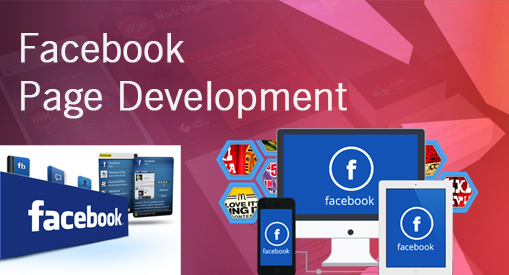 We offer special service for facebook page development. We are also interested to provide our service of outsourcing facebook page development. By understanding all kind of your requirements, we provide you with the skillful campaign of successful social media. Facebook contains all SEO marketing strategies and proven great associate for you. Your business should be constantly displayed and talked about by the people over the internet. We create facebook accounts and facebook page to support our client’s purpose and by that we make engage a community with our client companies. We manage the facebook page as an administrator. Our executives post the designs and contents on the facebook page design services on regular base. Our expert team of custom facebook page development is going to develop necessary apps for facebook to create large number of fans. Developing the apps is under process.